Every year I scrapbook our families Christmas card and I pick a couple of my most favorite cards and scrapbook them too. I love doing this so I alway my favorite cards scrapbooked and also how I know the person who sent it to me. This year, Katrina Hunt's Christmas card won me over! Is was both funny and adorable!! Jillibean Soup papers seemed to be the perfect fit for this card. I created a little hand stitching, I love stitching on my layouts even if its fake stitching, I love the look it gives the project. 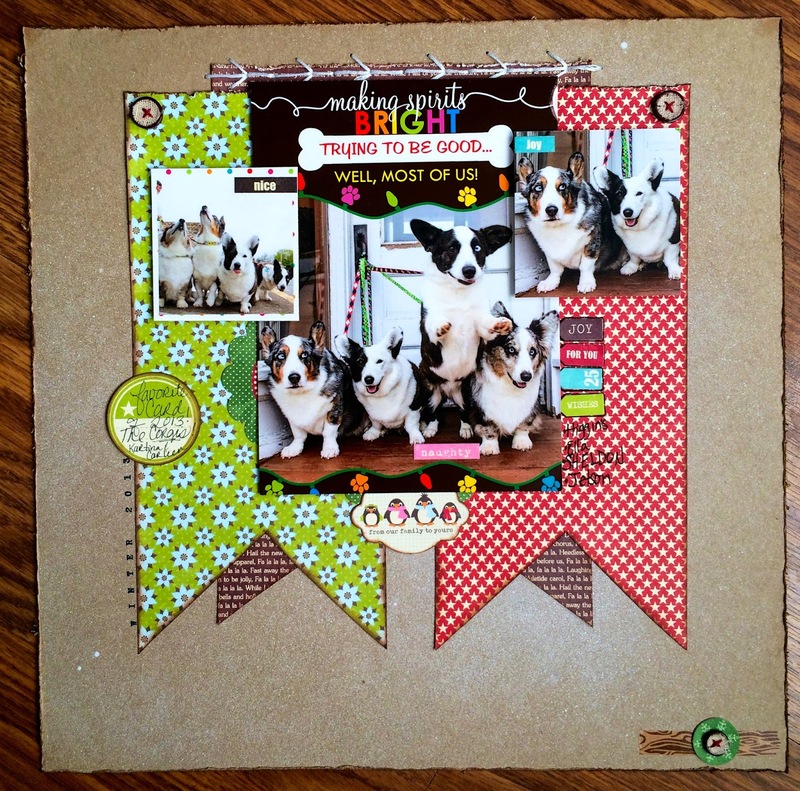 My cute little burlap buttons coordinate with Jillibean papers perfectly! Most all of the product on this layout is Jillibean Soup. I don't know if I've shared this picture on my blog or not, I know I have on my Facebook account. 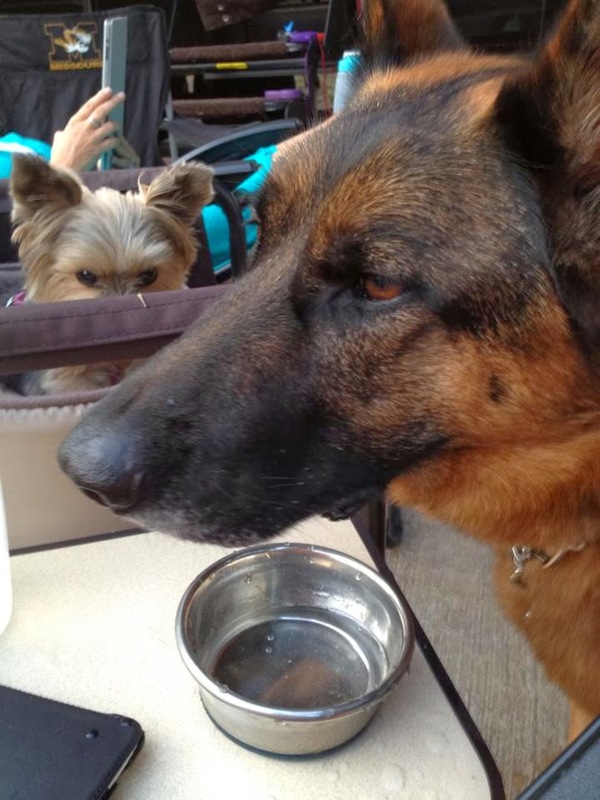 We love this picture, my yorkie, Bella, is so mad at her much bigger and younger brother, Nico, my GSD. He seems to want to drink out of her bowl not his own, this really makes her mad. She will attack if the opportunity presents itself. LOL! Love these two and their silly relationship they have created. That IS a really cute layout... I also enjoy drawn stitching since I don't know how to do the real thing! That pic of Nico and Bella has me smiling...she looks truly peeved and I don't blame her...LOL! K's fur babies are just adorable!! LOVING your lo!! And love love love that photo of Bella getting ready to attack Nico! LOL! !